Before the touchscreen iPhone was revealed at MacWorld in 2007, Apple had a team of engineers working on a click-wheel phone that was kind of like a mashup of an iPod and a phone. It was never released, but the work that went into it is pretty fascinating. In an interview with TechCrunch, former Apple engineer and Nest co-founder Matt Rogers talks about what it was like to work on the click-wheel iPhone when no one else at the company even knew Apple was developing a phone. Nowhere in the company did anyone know that Rogers was even working on a phone. Rogers and his teammates had closed off access with badges that keep them isolated from other Apple employees, which is pretty standard at Apple when a secret project is in development. 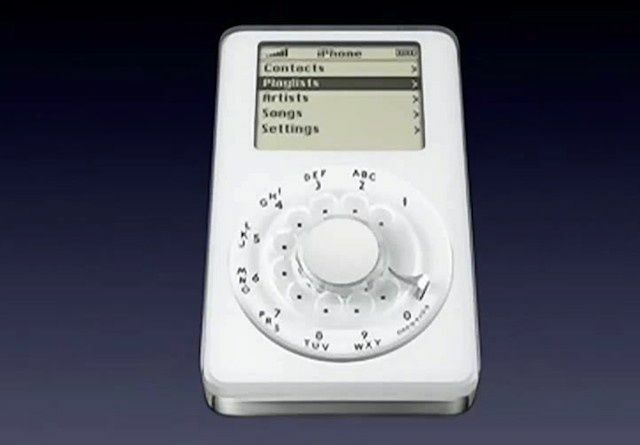 The click-wheel phone prototype was shelved and everyone started working on a touch screen iPhone that was being developed at the same time. Rogers then revealed that the prototypes of the iPhone he worked on were always about two-years out from shipping as actual products and that they were monumental efforts around the company, but each department was compartmentalized and only a few people got to see the entire UI of the iPhone. According to Rogers, a lot of the UI that is the foundation for iOS was developed as early as 2006. You can watch the full Matt Rogers interview below, or over at TechCrunch to hear more about his days at Apple along with the new Nest device that was launched today.